Recently one of my police officers mentioned that the Hubbard Police Department Firing Range first aid kit was hopelessly out of date to one of your employees. Not long afterwards, Laura Cummins of Lifefleet arrived at our police station with a new first aid bag which was fully stocked. Additionally, Laura also took the time to explain the contents of the kit and how each item inside worked and what its purpose was for. I am incredibly impressed by the kindness and generosity of Lifefleet and that of your employees. It is certainly a positive reflection on you and your management team that service to the community you serve is not just a slogan but it is also the reality. On behalf of the men and women of the Hubbard Police Department we are very grateful for your thoughtfulness. 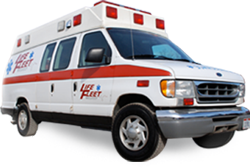 The partnership we have enjoyed with Lifefleet has been a great benefit to the City of Hubbard and its residents. Lifefleet has maintained a vigilant presence at all of our major events and your employees have always interacted with our citizens in a way in which I’m certain makes you proud. If there is anything that we of the Hubbard Police Department can ever help you with, please feel free to let me know and we will do whatever we can to help. Thank you for being a speaker for our “Career Day” at Taft Elementary School. Your presentation to our students was outstanding. Thank you for taking the time away from your career to be with our students and staff. The students will remember this day with fond memories. Thank you for all the handouts and goodies for our students. They enjoyed them tremendously. We hope that you can join us again next year. The Staff of Caprice Health Care Center. Calcutta Health Care Center wants to express our appreciation for the delicious lunch you sent us for National Nursing Home Week. All the staff enjoyed it so much! Many thanks for your gift of sandwich wraps to Shepherd of the Valley employees on May 17, 2012. It was so thoughtful of you to remember us. My staff and I greatly appreciated your gift. We look forward to working with you in the future. Thank you for your support.